Bright Trailer Sales puts a premium on providing consistent quality trailers and true customer service. We believe that our extensive experience, consistent quality, unmatched customer service and local focus make us a leader as a local Fairbanks utility trailers and Fairbanks cargo trailers. 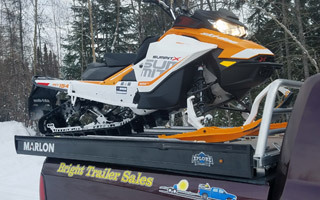 In addition, we can help you with ATV trailers, motorcycle trailers, snowmobile trailers, bobcat haulers, car hauler trailers, construction trailers, heavy equipment trailers, flatbed trailers and more. Whether you’re looking for something light, or something heavy, we are your one stop shop for Fairbanks trailers. Please feel free to read the testimonials from several of our most satisfied customers. Contact us today for a no-obligation consultation or request a quote! As a locally owned and operated, Fairbanks area business, every one of our customers is extremely valued. It is our goal to earn your trust and keep your business for years to come. 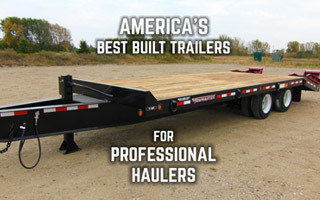 Please provide us with your contact information and tell us more about what type of trailer you are looking for. We look forward to working with you!